You can add toolbars simply by using menus. Select Windows > Toolbars > toolbar. You can right-click anywhere in the toolbar area to access Harmony toolbars. 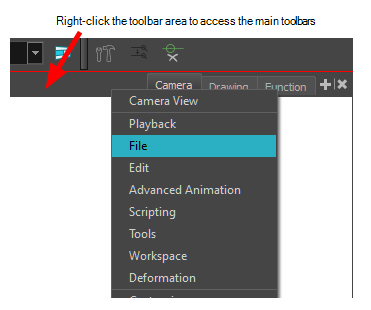 View toolbars, however, are not available by right-clicking the toolbar area. 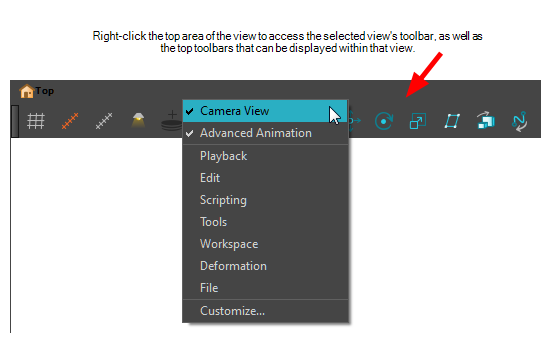 You can access the toolbar of any open and active view by right-clicking in the view's top area or the Windows menu.